Google Glass & Tefilin in the D! For a handful of rabbis, tropical warmth reveals Detroit spirit. Rabbi Mendel Druk, an Oak Park native, runs the Chabad Jewish Center of Cancun with his wife, Rachel. Sitting in his Palm Springs study in 2005, Herman Wouk listened as a young Rabbi Asher Federman presented his rather original plan to open a Jewish center on St. Thomas, Virgin Islands. Wouk — the great Jewish American novelist and author — lived on St. Thomas from 1958 until 1964. Born in California, but educated in Detroit, Federman points to his formative years of schooling at the Lubavitch Yeshiva- International School for Chabad Leadership in Oak Park that gave him the passion to answer the call of the late Lubavitcher Rebbe, Rabbi Menachem M. Schneerson, and build an outpost of Judaism in a location so far from home. Depending on the season, the Friday night Shabbat dinner draws between 25 and 75 people. Last Chanukah, they hosted a Jewish concert that drew an audience of close to 1,000. Federman is one of three leaders of the burgeoning Caribbean Jewish community with ties to the Motor City. Rabbi Mendel Druk, co-director of Chabad of Cancun, Mexico, was born and raised in Oak Park, while Rabbi Berel Pewzner of Chabad of the Cayman Islands studied for rabbinical ordination at the Lubavitch yeshivah in Detroit as well. All three point to Detroit’s pioneering spirit as a driving force behind their decision to leave the ice and cold — and comfortable Jewish communal structure — of the Midwest and head to the tropical isolation of some of the world’s most beautiful vacation spots, where kosher food and active Jewish life often rests solely on their own shoulders. "I had to fly 1,600 miles to meet someone who grew up around the block from me,” Shlom marvels. 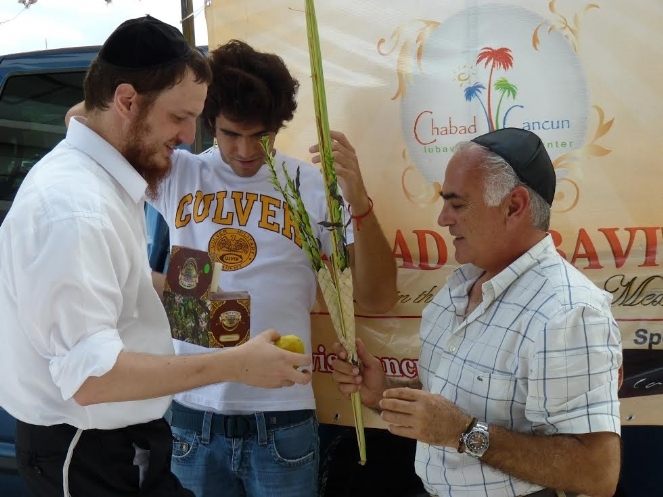 “Seeds were planted when I met Rabbi Druk, and since then I’ve become so much more connected with the Jewish community and my heritage.."
In 2006, a group of Jewish locals in Cancun sent a message to Chabad-Lubavitch request- ing a representative to help lead the community of locals and cater to the thousands ￼￼￼￼of yearly tourists. Rabbi Mendel and Rachel Druk had recently married and were already searching for a posting, so when Cancun was suggested they planned a visit. The Druks acknowledge it is jarring to see their four children growing up in such a different environment as they did — Rachel was born and raised in Brooklyn. Their chil- dren do not even own winter coats. “I feel energized doing the type of work needed here,” says the rabbi. “You have to make every interaction count because you often don’t get a second chance. One Detroit connection made was with Larry Shlom, a semi-retired schoolteacher from Southfield. Walking through downtown Cancun on vacation two years ago, Shlom saw a sign for Chabad. Inside he met Druk. Shlom attended Chabad Jewish Center of Cancun’s seder and, despite 150 people from all over the world, the ambience felt like home. The hometown link did not end there. 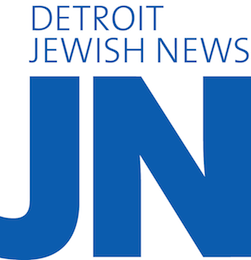 Druk put Shlom in touch with Rabbi Mendel Stein, the Detroit Lubavitch yeshivah’s development director, who was able to connect Shlom with a rabbinical student at the yeshivah to study advanced Jewish texts together. For Barbara Kappy of Orchard Lake, the Detroit connection began where it would have made most sense: in Detroit. Six or seven years later, Kappy, together with her husband, Irvin, and their children, found themselves planning a trip to Cancun, and Barbara remembered the young couple from the bakery. “I called Rabbi Druk and reminded him about our meeting and we came for Shabbos,” Kappy says. “There must have been 50 people there, and the Druks were just so hospitable. We fell in love with them and their family. “We tell people here all the time, if you’re ever going to Cancun, you need to stop by the Chabad there,” Kappy says. Founded originally in 1965, today the Lubavitch yeshivah educates close to 100 rabbinical students, aside from another 200 in their elementary and middle schools. In 2012, the institution moved into a new 50,000-square-foot building on the 4-acre Harry & Wanda Zekelman Campus, where a new generation of leaders can now be comfortably educated and inspired. Rabbi Berel Pewzner is a graduate. He and his wife, Rikal, arrived on the Cayman Islands in December of 2013, and since then have quickly expanded their Chabad activities on the island. Pewzner describes the Cayman Islands as a growing community, as more Jewish snow- birds and retirees see it as a viable option. Many European Jews looking for a place to retire and, at the same time, to avoid rising anti-Semitism have also begun considering Grand Cayman and the surrounding Caribbean islands. He admits his posting on Grand Cayman is not always as easy as it sounds. “I wouldn’t want to call it a hard life, but there’s no question it’s a unique and special challenge to live here and create a Jewish community from scratch here,” says Pewzner, who studied in Detroit in 2009-2010.